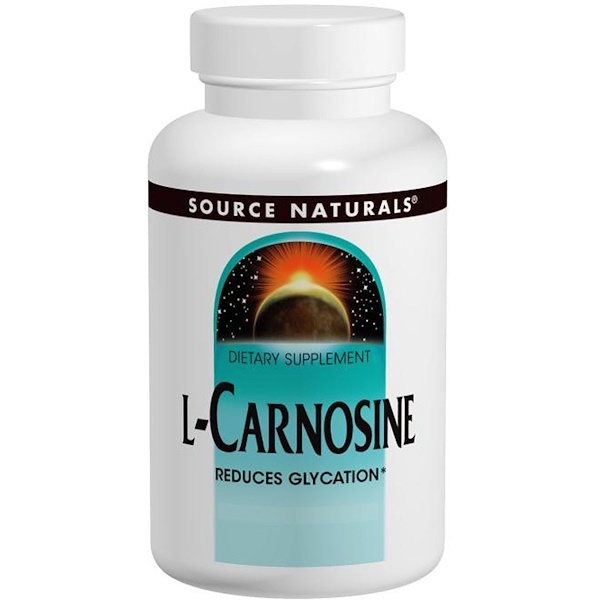 L-Carnosine is a dipeptide composed of the amino acids beta-alanine and L-histidine. It occurs naturally in muscle, brain and other tissues in high concentrations. In in vitro studies, L-carnosine reduced glycation, a process in which DNA and protein are damaged by glucose. The end products of glycation are highly reactive molecules called advanced glycation end products (AGEs) which can further damage proteins, lipids and nucleic acids. The accumulation of AGEs is associated with aging. 1-3 tablets daily with meals. Best if spread over separate eating occasions. Dibasic calcium phosphate, microcrystalline cellulose, stearic acid, hydroxypropyl cellulose, colloidal silicon dioxide, and modified cellulose gum. Caution: If you are pregnant, may become pregnant or breastfeeding, consult your physician before using this product.